After running revenue model A/B testing in the last 3 months with B2C and B2B monetization, we decided to make the Education Ecosystem platform free for consumers (removing the subscription paywall) and instead charge businesses, by offering them developer relations as a service (DRaaS). The main reasons for switching to B2B monetization are that we realized there is a bigger revenue opportunity with B2B sales and removing the paywall will simplify our product and help grow the user base faster by providing unlimited content access to all viewers. We offer tech companies Developer Relations as a Service (DRaaS). Through this service we help them to reach their target audience in the most cost effective way. We create practical video tutorial projects to teach people how to build real applications on these platforms and distribute the projects online. With our product evangelism tech companies are able to attract more developers, train them on how to use their products and ultimately grow their ecosystems. Education Ecosystem already has an extensive user base consisting of engineers, designers, teaching professionals and college students across the US, Europe, China and Russia, who make up the over 300,000 registered users and millions that have used our previous products. Our developer relations service provides tech companies access to not only this audience but also over 2 million other relevant users through promotion on various social and blogging platforms. Blogging and content marketing represent an important part of ecosystem growth. We do everything for tech companies including brainstorming of topics, reviewing of article structures, publication in the most relevant top blogs and sharing on social media. Our marketing for DRaaS customers also includes newsletter marketing of projects and articles to our extensive database as well as promotion in relevant 3rd party newsletters with lots of subscribers. We organize global hackathons and contests for developers. Hackathons are a great way for developers to collaborate on projects, compete, and builds their skills. Through our virtual hackathon competitions tech companies are able to attract the best developers to work on their platform building applications. These participants are then awarded cash and crypto prizes for their work. Our audience is not limited to only English speaking developers or those located in the US or certain parts of Europe. We can also create content in Russian and Chinese to reach even more developers in places like Moscow, St. Petersburg, Beijing, Guangzhou and Shanghai. Our pricing packages consist of different combinations of custom project creation and marketing promotion depending on the needs of the customer. Each custom project consists of six (6) 45- minute long videos. Package 1 ($10,000 USD): 2 custom projects, 1 blog article, 1 newsletter feature. Package 2 ($20,000 USD): 3 custom projects, 2 blog articles, 2 newsletter features, promotion on YouTube, Reddit, Medium, Discord, Telegram & Twitter. Package 3 ($30,000 USD): 11 custom projects, 5 blog articles, 1 Medium influencer article, 4 newsletter features, promotion promotion on YouTube, Reddit, Medium, Discord, Telegram, Twitter and Russian & Chinese sites. 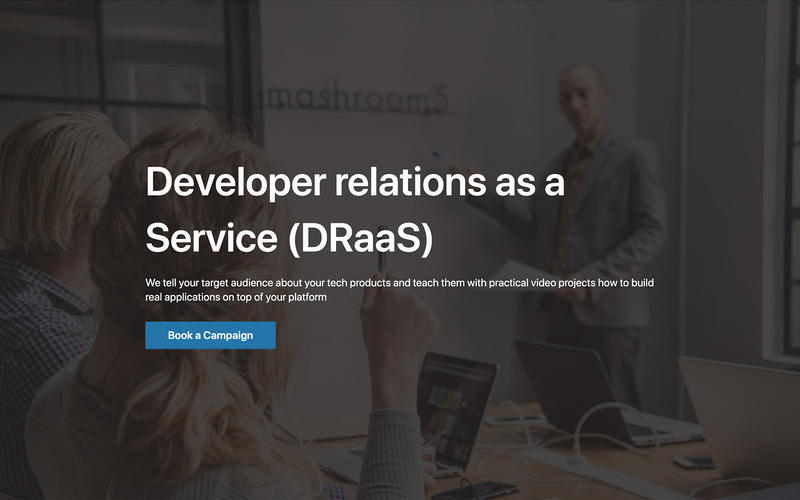 If you or someone you know works with a tech company that would be interested in our developer relations service then you can contact us via our developer relations page here. How will organic demand for LEDU token be generated going forward? Tech/crypto companies (B2B) will be paying for the DRaaS with fiat or LEDU. If they use fiat, we will convert to purchase LEDU in the back. Demand generation through companies paying for DRaaS, i.e. B2B sales. A similar like Factom uses. How will LEDU tokens be used by viewers going forward? Viewers will receive LEDU for watching & sharing projects, referring friends, doing content quality checks or community moderation. How will LEDU tokens be used by project creators going forward? Project creators will receive LEDU as part of their compensation for building projects. What do you think about our developer relations revenue model? Are you a viewer excited to start learning about new technologies on our platform for free? Let us know in the comments.